Two year young ranch backing to common ground. 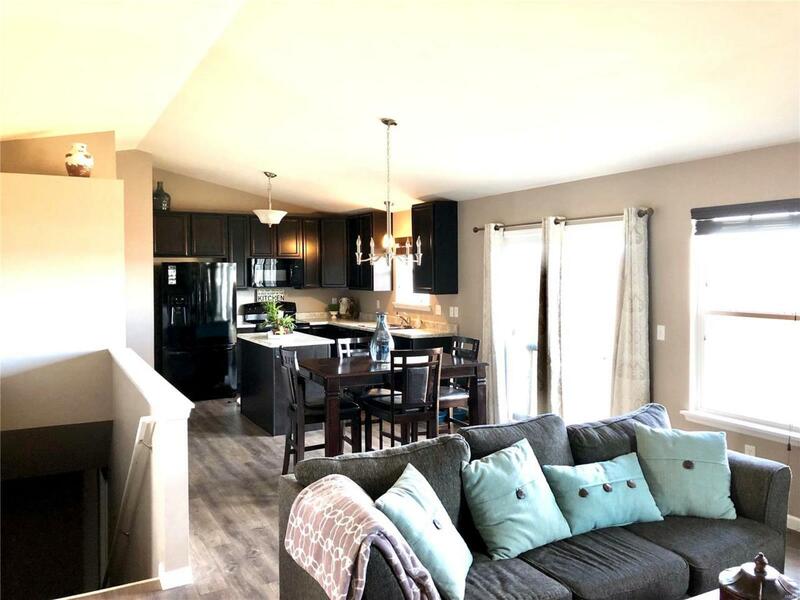 Todays sought after upgrades including white six panel doors, hard surface flooring in main living area, vaulted ceilings in the kitchen beautiful 42 inch espresso cabinets, a center island, pantry & stainless steel appliances. Great room with a wood burning fireplace w/marble surround. 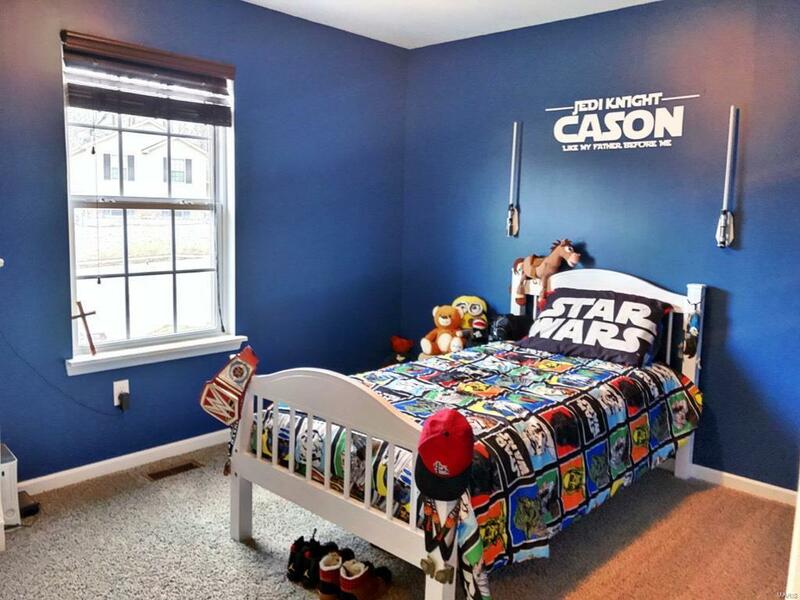 Master bedroom w/vaulted ceilings and walk in closet. Master bath has a double bowl sink, adult height counters and a linen closet. Main floor laundry. 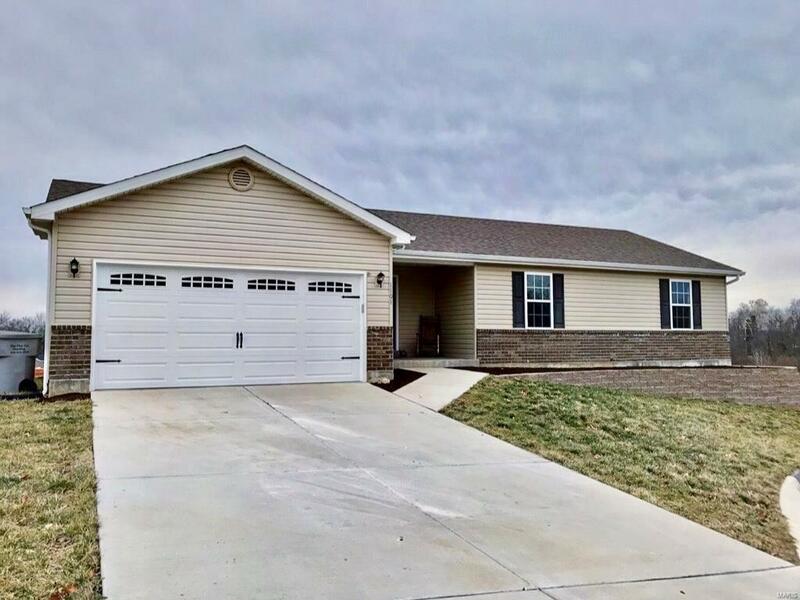 8ft poured Basement is a walkout with rough in plumbing for a full bath and a window for future bedroom.Brick & vinyl exterior, covered porch, coach lights, sodded yard and new landscape wall. We are also located in the highly regarded Wentzville school district! 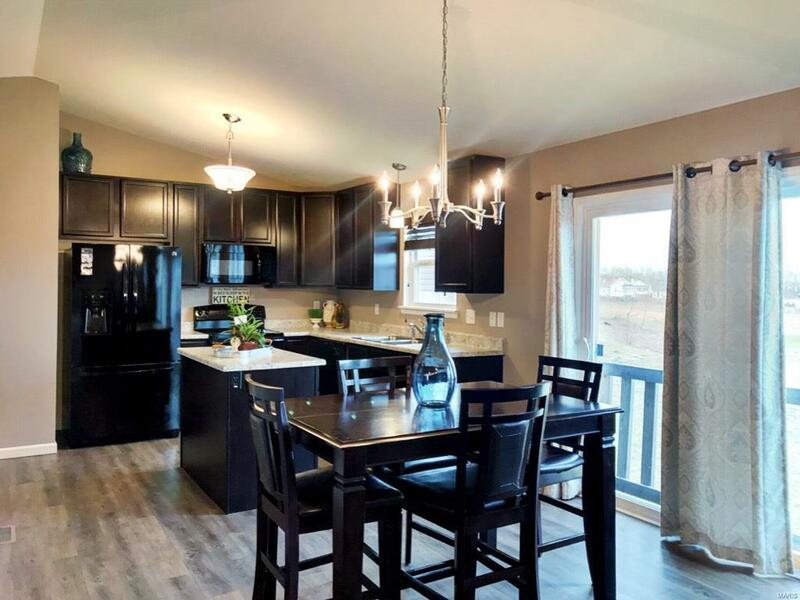 Easy highway access to 40/61, minutes from Wentzville and 170 interchange, Indian Creek Park w/camping, hiking, fishing, swimming within walking distance. Front yard will be bigger when developers removes concrete and restores yard. Great view.